Several years ago my Aunt and I started talking about renovating her master bedroom and bathroom. Plans were drawn several different ways – adding on to the back of the house, the side of the house or converting one of the three bedrooms into a bath. In the end, the best designs for their needs was to add a master bath off the side of the house, adding 270 square feet to the home. The master bedroom floor plan remained the same with the exception of closing up one door to the guest bath and opening up a door to the new bath. 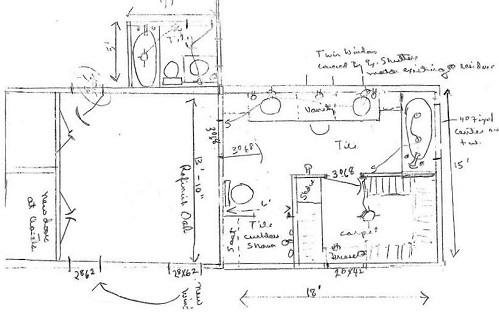 A quick sketch of the master bedroom and bathroom addition. How many times have you fallen in love with a room you see in a design book? Is your “dream house” file full of magazine pictures? Or do you spend hours scanning Pinterest or Houzz for inspiration? For one client, the love of a master bathroom she saw in Traditional Home became a reality. Her inspiration began with a picture that she carried around for several years before actually deciding to start the process. 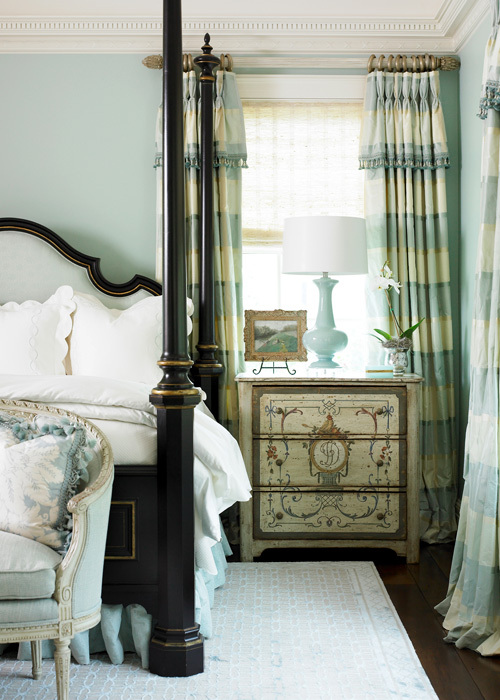 A downstairs guest room and mother-in-law suite became a master bedroom, bathroom and closets along with a small sitting room. 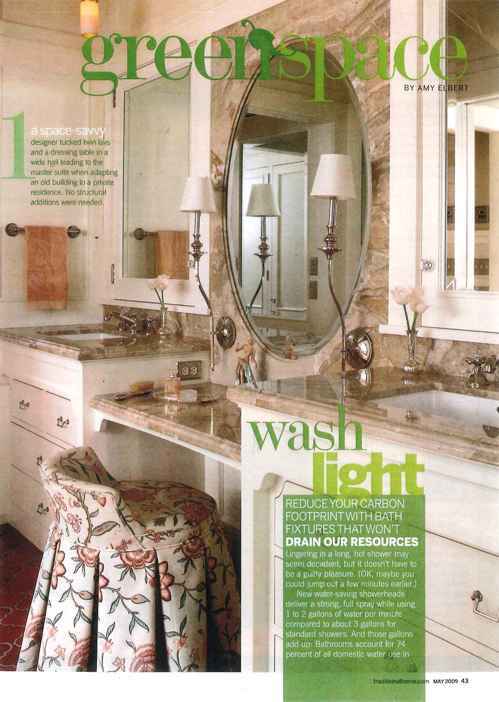 This picture from Traditinal Home was the inspiration for the master bath.